The Z™ Zoned Dough® + Bamboo Charcoal pillow brings you the benefits of memory foam pressure point relief combined with the odor and moisture control of bamboo charcoal. 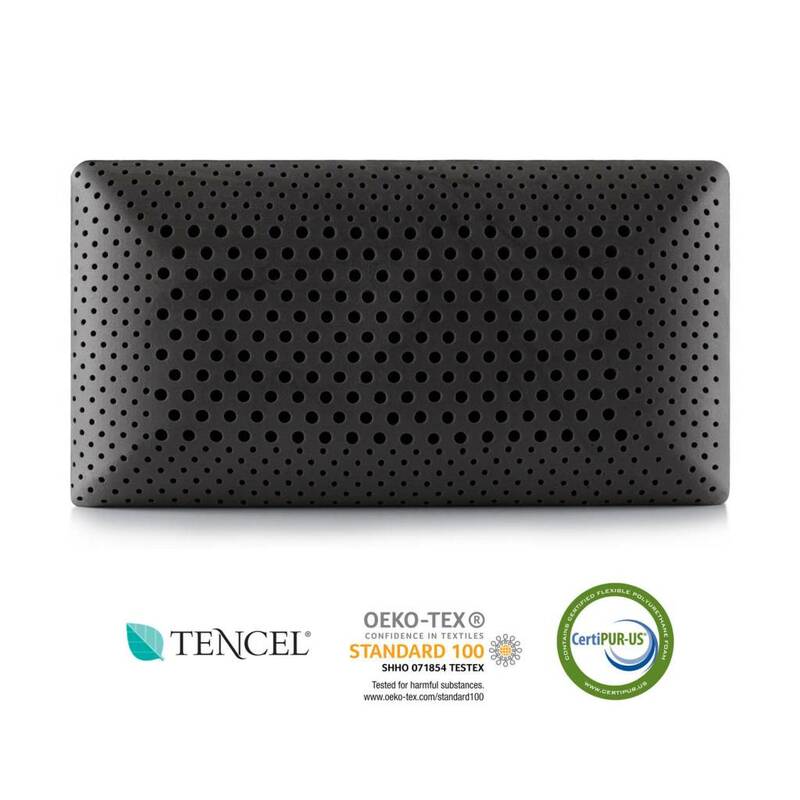 Bamboo charcoal has many great qualities: it eliminates odors, absorbs excess moisture, regulates temperature, and is an excellent choice for people with allergies. Combined with contouring memory foam and Zoned Technology®, it is an innovative masterpiece. Simply stated, there are two comfort zones in this pillow. The center of the pillow has larger holes to provide optimal comfort for your head, while the outer area of the pillow uses smaller holes to support your neck and correctly align your spine. Bamboo charcoal is created from the bamboo plant. First it is burned at high temperatures, then it is ground into a fine powder. 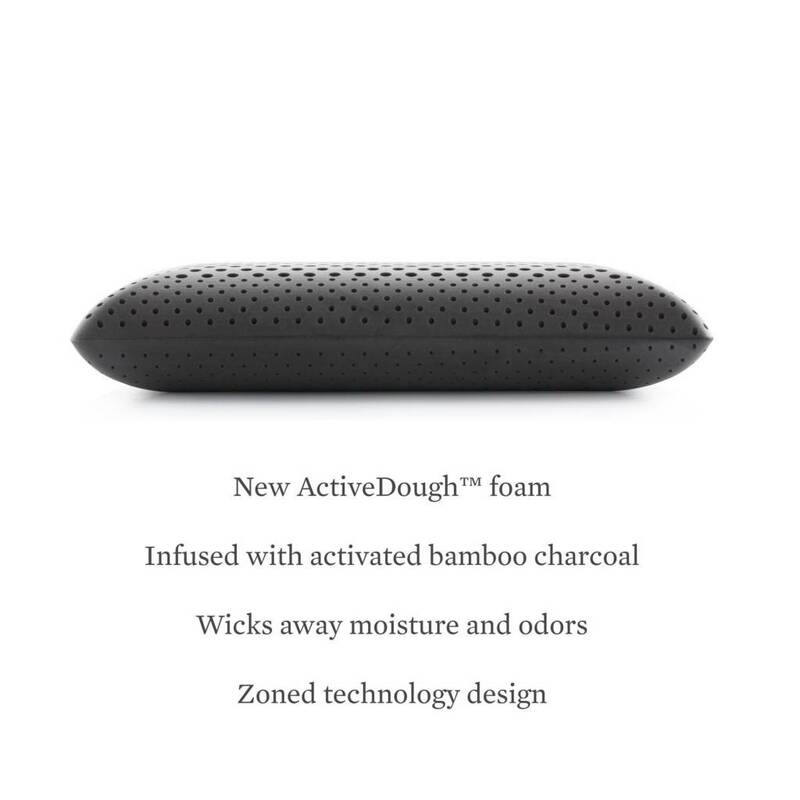 Finally, it is infused in our memory foam pillow. 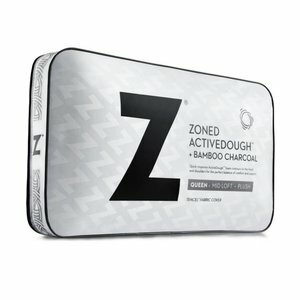 Bamboo charcoal has been used in medications and skin care products, and is completely safe to use in bedding products. Accompanying this pillow is a luxuriously soft and breathable cover made of rayon from bamboo velour. 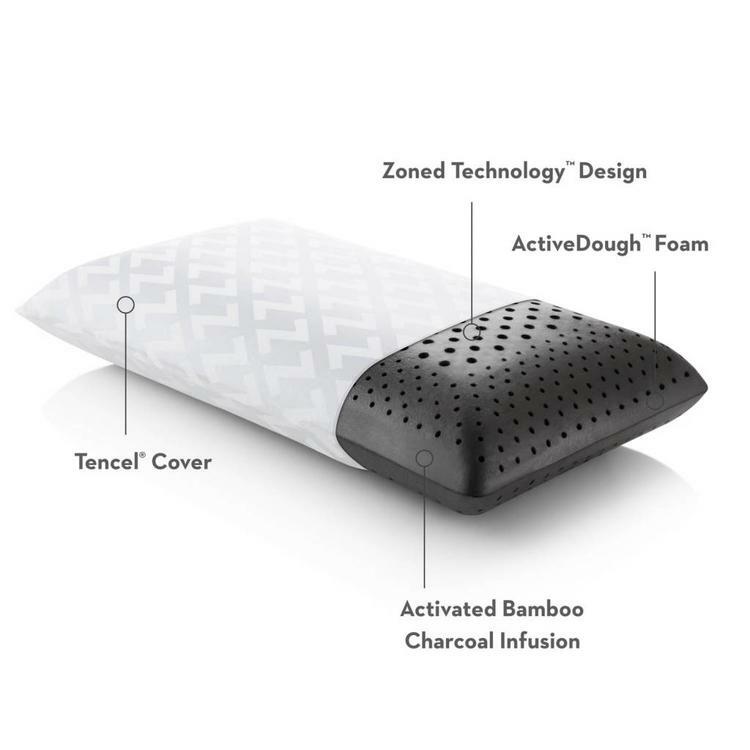 The cover is removable for laundering, helping you to create a healthy sleep environment.